You and your family are waiting for school to be out and summer vacation to begin. You have a getaway planned and you’re counting down the days! 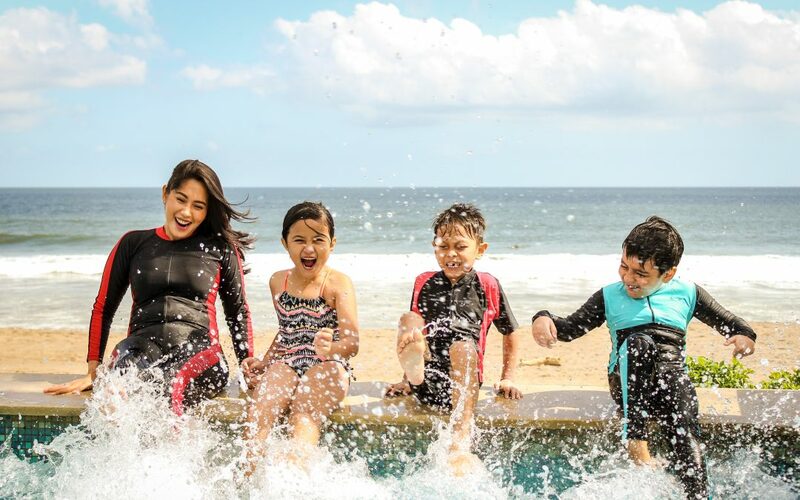 Whether you’re spending time on a beach, going to an amusement park, camping, hiking or biking, family vacations are a summer memory to cherish. 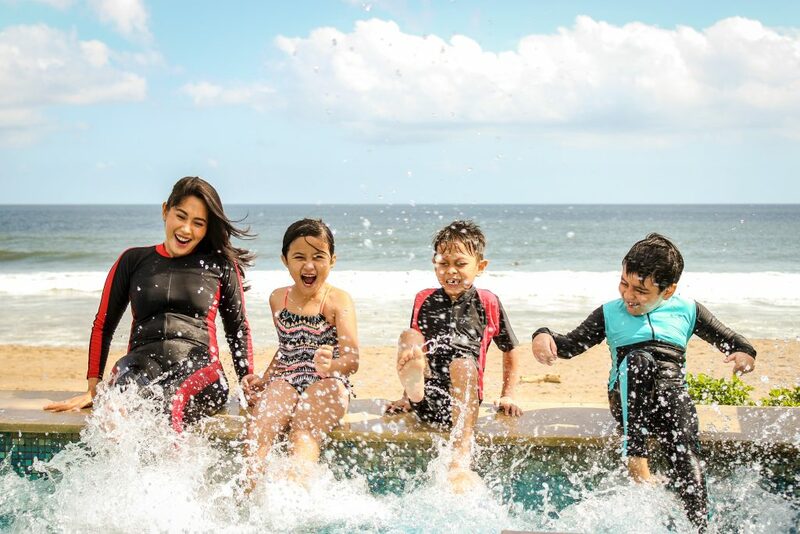 What happens with your swimming pool when you and the family are on vacation? Do you just turn off the pump, cover it and forget about it? Not the best idea! Even if you get away and even if you cover the pool, you’d be well advised to run the swimming pool pump even when you’re away. 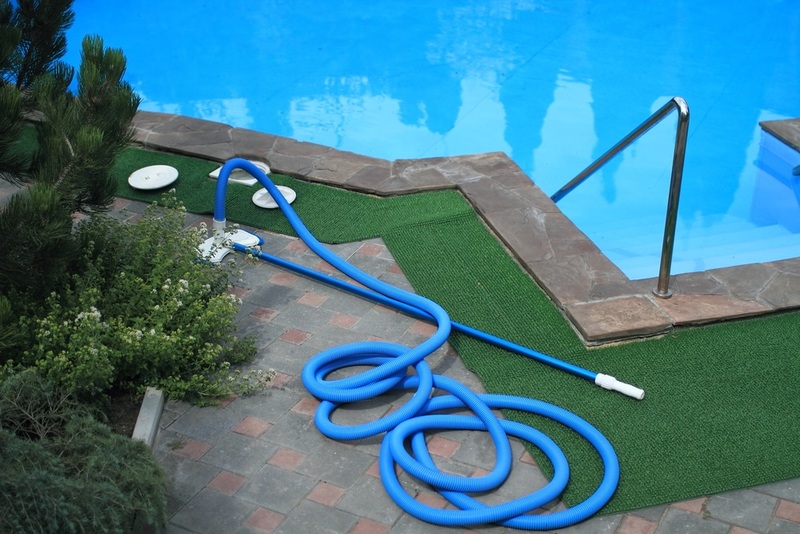 If you don’t have a remote controlled pool pump or don’t have a timer on the pool pump and filter, you will want to talk with us as soon as possible so you can get this device added to your pool equipment. With a remote control or a timer, you can set the pool pump and filter and forget it. This allows you to take a vacation and not have to worry about coming home to a swimming pool that is algae filled and cloudy because of a week worth of neglect while you were vacationing. Some pool owners will keep to their reguarly weekly pool maintenance schedule and the pool service pro will do his work while you’re relaxing on vacation. Let your pool contractor know that you’ll be on vacation. He or she may want to tweak your maintenance schedule, add an additional one, shock the pool upon your return or keep to the regular maintenance schedule you’ve been on with him. The swimming pool water needs to be circulated in order to remove any bacteria or algae spores and to keep the chemicals circulated. Also, water that’s not circulating can look pretty good to mosquitoes who are looking for standing water in which to lay eggs; chances are they won’t lay eggs into your chemically treated pool water, but don’t give them any opportunity! The remote control or a timer on the pool pump and filter will allow you to rest easy that the pool water will stay circulated and hopefully that will mean it won’t become brackish while you’re on vacation. You may not need to run the pool pump and filter as often as you would if you were using the pool regularly, but you should run it long enough to turn the water over at least once a day — ask us how many hours a day that will take. You may typically run the pool pump and filter during the overnight hours when electricity is at its lowest price, but if you’re away, you may want to run the pool pump and filter during the hottest part of the day to keep it circulating. You may see a bump in your utility bills, but that will be less expensive than having to have us come and rid the pool of algae. Besides, if algae takes hold in the pool while you’re on vacation that means you won’t be able to swim even after you return! Talk with us and let’s set up a pre-vacation pool deep cleaning. We will also shock it and add an algaecide. The shocking, aka super chlorinating the pool means we will be adding double the normal amount of chlorine. If you’re going on vacation, super chlorinating it will keep it cleaner while you’re away and since you’re going away you won’t miss any precious swim time. If you have an automatix chlorinator, dial it up a notch to give the pool an additional boost of chlorine while you’re vacationing. Remember to turn the levels back once you return. Just as you’d test the water chemistry during a regular cleaning, so too will you want to check it and add the necessary chemicals prior to your vacation. Clean the filter before you vacation. Add algaecide, as a preventative measure. prior to vacation, run the pump and filter while you’re gone, have it super chlorinated, keep it covered and it will be crystal clear and swimmable when you return! Don’t forget! Enjoy your vacation knowing that the work you did before your vacation will pay off in a clean, bacteria-free pool when you return. Give us a call if you have questions, concerns or want to get a pre-vacation or a post-vacation pool cleaning or service call scheduled.